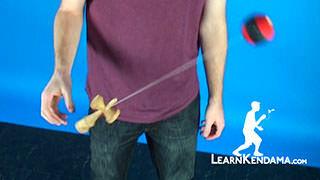 In order to do this trick, you want to make sure you know the trick Gunslinger. 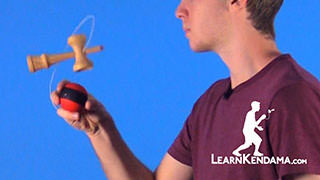 If you have not seen that, make sure you check out that video. 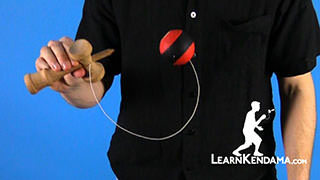 We are going to start off in a Revolver Grip with our index finger around the small cup. 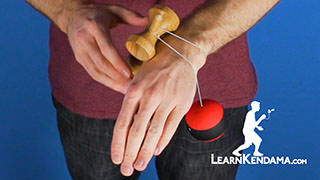 What you are going to do is take your non dominant hand and stick your index finger out. 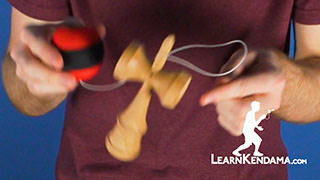 Swing the tama underneath your finger and it is going to go over this area on the kendama known as the crown. 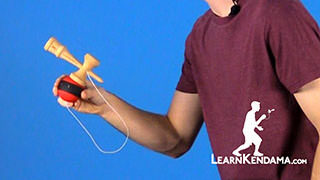 It is in between the ridge of the base cup and this handle area right here. 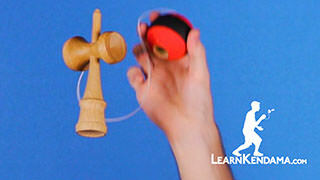 So you swing the tama over just like that. 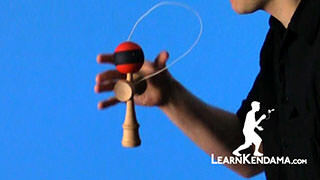 As you can see the string is rested over in that area. 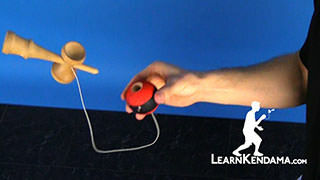 You are going to open up this loop right here. 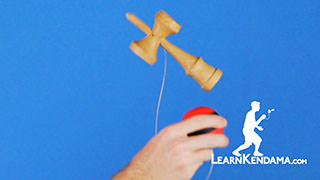 You are actually going to take the tama and pass it through like that. 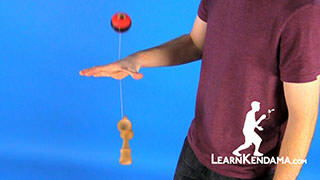 When you let go you will see there is that twist in the string right there. 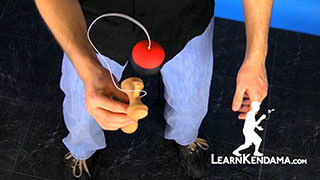 When you let go, this actually creates a little loop knot. 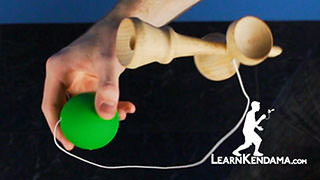 You want to make sure that this knot is in between this area. 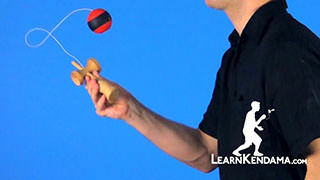 If it is over this ridge right here, the trick will not work. 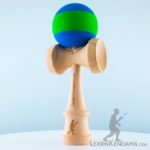 So it has to stay in this area. 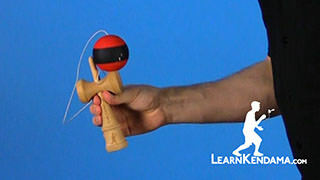 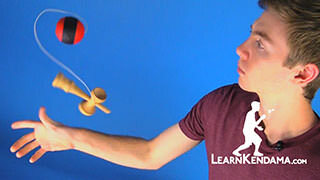 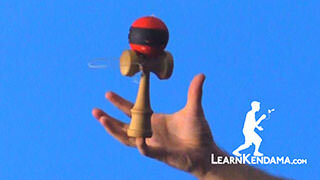 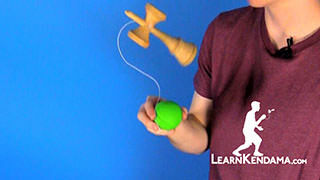 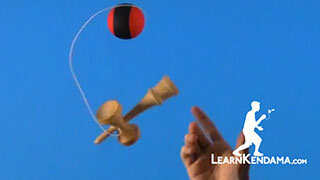 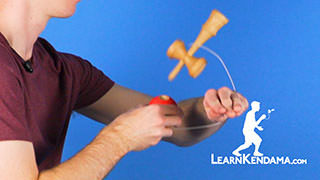 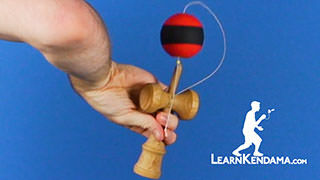 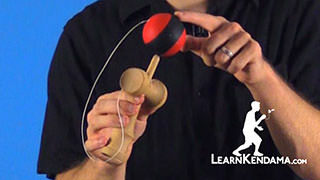 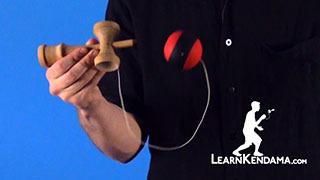 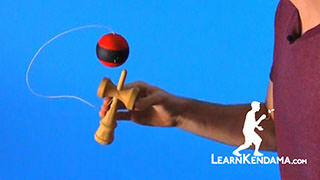 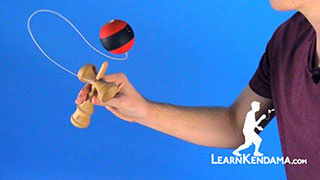 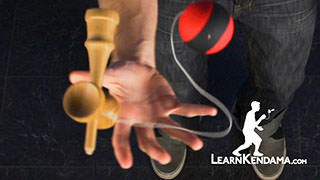 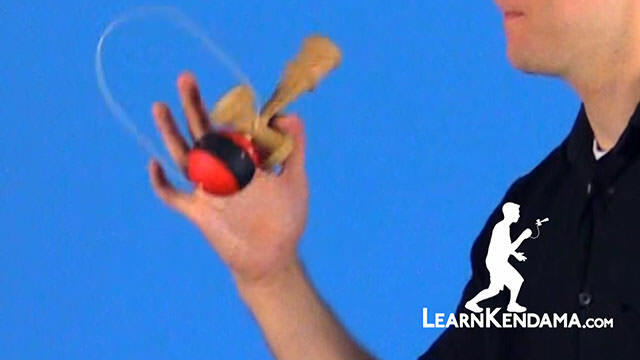 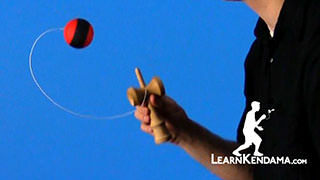 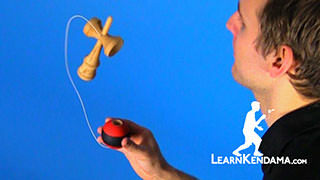 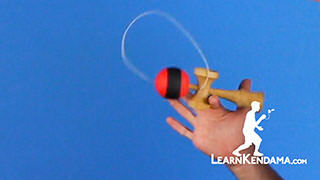 Once you have that loop knot, you are going to then let the kendama hang just on your index finger. 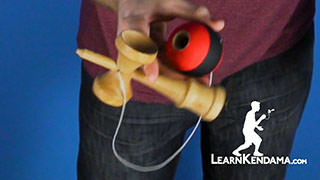 Because the tama locked in is actually going to counter the balance of the kendama so it stays on. 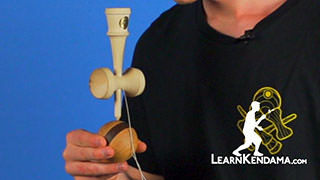 You are going to swing the tama away from you. 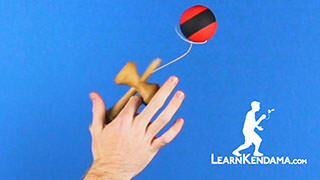 You will see that you will be able to spin the whole formation infinitely. 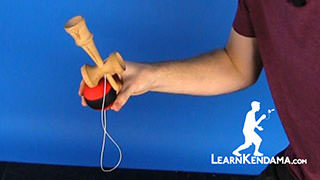 To get out of this, what you are going to do is you are going to use your thumb and place it on the big cup to stop the spin. 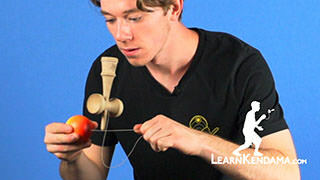 You actually want to practice just spinning it once, stopping it. 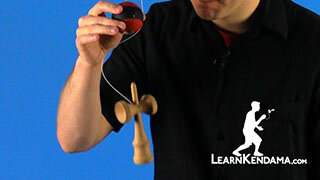 You can go twice, stop it. 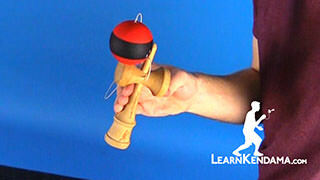 And you are going to do a swing spike motion when this comes around. 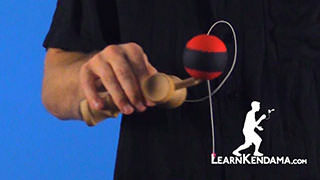 So as the kendama is spinning, you are going to stop, you are going to bend your knees, and you are going to pull and land on the spike. 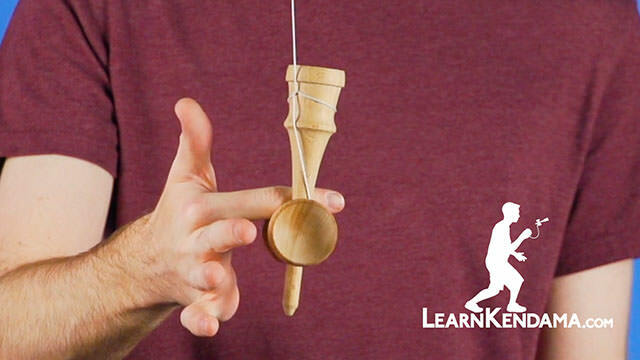 Once you are done, you will see that this loop knot actually loosens up so that you can just simply use your hand to take it off. Then you can go into any other trick you would like to do. 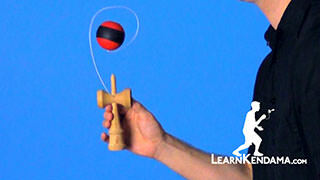 And that is Infinite Gunslinger.